TERROR VISIONS is one of America's first 3D haunted houses ever created and is now regarded as the best 3D haunted house in America. Terror Visions is a 3D haunted house in St. Louis, Missouri located inside THE DARKNESS, one of the best haunted attractions in the World. The Darkness Haunted House is a two story haunted house filled with Hollywood quality sets, animations & special effects, located in downtown St. Louis, Missouri. 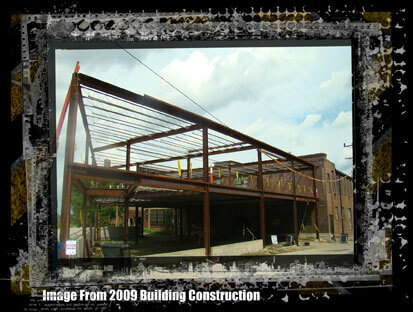 In 2009, our building was expanded with a new 16,000 square foot two-story addition, which now houses our workshop and both Terror Visions 3D and The Monster Museum. Originally, Terror Visions 3D was located at 19th and Washington Street and operated as a single haunted house in the mid 1990's. Terror Visions Haunted House on Washington Street later had its theme changed to Elvira Haunted House, but ultimately it closed for good. Several years went by without a 3D haunted house. Eventually, Halloween Productions Inc (HPI) expanded their Darkness building downtown. The team from HPI wanted to add a second haunted house to The Darkness venue. Many ideas got kicked around until it was ultimately decided to bring back Terror Visions 3D. In addition to bringing back Terror Visions 3D Haunted House, it was decided to add a gift store and surround that with a monster museum. The original Darkness was located in the old Welch Baby Carriage Factory on 7th Street in Soulard. The Darkness was housed on one entire floor of 36,000. The original Darkness included a 13-hole themed mini golf, an arcade, a movie theater, magic show stage, and even a monster museum. When HPI bought the building next door, The Darkness Haunted House was moved out of the Welch Factory and into the building right next door. The new building, with only 20,000 square feet, was not large enough to house a mini golf, arcade, monster museum, & movie theater. So those attractions were sold and shipped outside of Missouri to other attraction companies. Halloween Productions become a predominant production company building haunted houses, indoor blacklight mini golf attractions, dark rides, and more all across the World. In fact, a new company was started called Blacklight Attractions (BLA). BLA became (and still is) the World's best production company of blacklight attractions in the World. When the Darkness building was expanded it only made sense to bring back Terror Visions 3D because of Terror Visions’ history in the St. Louis area, plus the company’s current recognition for building the best 3D attractions Worldwide. After costing nearly 1 million dollars to expand the building and create the new attractions, Terror Visions and the Monster Museum opened in October 2009. 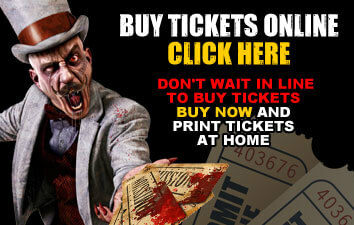 Terror Visions 3D Haunted House, now in its forth season, has evolved with each passing year. In the first season of this haunted house, it was mostly highlighted for its clown theme and amazing artwork. For the second season, this haunted attraction was renovated by adding tons more build-outs, sets and props, plus more sound fx. For 2012, Terror Visions 3D has reached an all new high with tens of thousands of dollars spent on custom animations, special effects, and the most hauntingly creative artwork scenes. being merely an add-on attraction of 3D mazes is over. Terror Visions 3D Haunted House has been toured multiple times by owners of haunted houses nationwide and around the country and has been hailed as the best 3D haunted house in the industry. Are you ready to experience freaky crazed clowns, in a 3D environment where the walls appear to be moving, floors are floating and everything is right in your face? Your worst visions of terror are inside the World’s best 3D Haunted House, Terror Visions in 3D, inside The Darkness Haunted House. In addition to bringing back Terror Visions 3D and making it part of The Darkness Haunted House, we also brought back the Monster Museum. The hardest part of rebuilding The Monster Museum was the lack of monsters available for purchase. Our team had to search high and low for cool monsters to display, and our aggressive search paid off! We found many cool items for the Monster Museum like a full-sized Creature From The Black Lagoon, Predator, Alien and more. We also acquired a massive, full-sized Incredible Hulk and a real suit created by Rick Baker from Disney's The Haunted Mansion movie. Every year, we attempt to find new monsters and props to display inside the museum. For 2012, we contracted a company to custom build and create a full-sized Wolfman, Darkness from Legend and ever Boris Karlof. The Wolfman is based on the newest 2010 film from Universal. It’s quite impressive, and it’s on display now, inside The Monster Museum at The Darkness. Guests can use their cameras/phones to take action pictures with this amazing, larger-than-life sized prop! Additionally, you’ll find a Michael Jackson prop as the werewolf from the music video, Thriller, and a new, full-sized 'Darkness' from the movie Legend. In addition to the amazing monsters, The Monster Museum is also filled with classic toys, autograph memorabilia, signed movie posters, plus horror video games and pinball too! The Monster Museum also includes a horror gift store operated by SLACKERS Music -Movies-Games where you can also purchase Darkness souvenir t-shirts, horror toys, collectibles, games, movies and more. When you come to The Darkness Haunted House, you get to tour one of the best haunted houses in America and simply the best 3D haunted house in the World, plus The Monster Museum for added fun! New to Gift Store includes Darkness 20th anniversery mugs, jackets, t-shirts, and even a 500 piece puzzle. Everything can be found at the exit of the all New Darkness gift store. The team behind The Darkness invested millions of dollars as well as years of creativity to build these ultimate haunted attractions. It’s never been about money and profitsI. It’s about living out dreams and the love of Halloween and everything horror. To have the ability to be a kid every day using your imagination and seeing your ideas be enjoyed by thousands of people every Halloween…that’s what makes it all worth the while. This Halloween you must experience the single BEST Halloween attraction in America, The Darkness Haunted House, Terror Visions 3D Haunted House and The Monster Museum all located in downtown St. Louis, MO. To learn more about these attractions visit the website at www.scarefest.com.